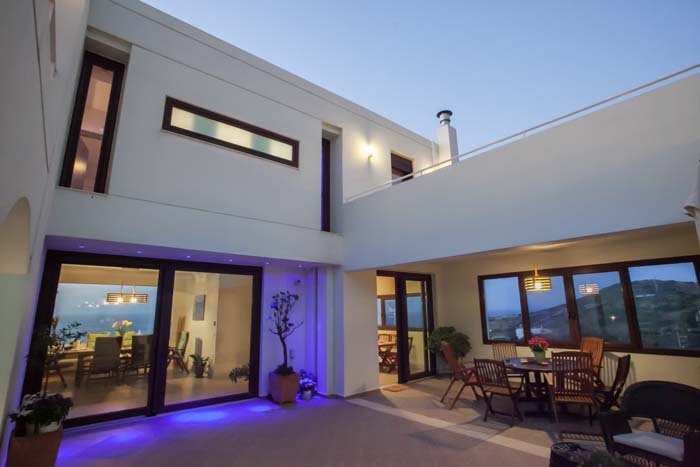 Villa Aspalathos is a 320sqm, luxurious villa located in the area of Lygaria- Agia Pelagia near the city of Heraklion. 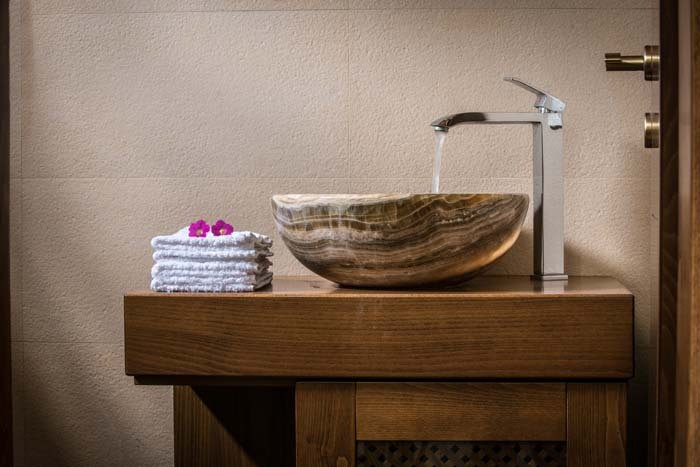 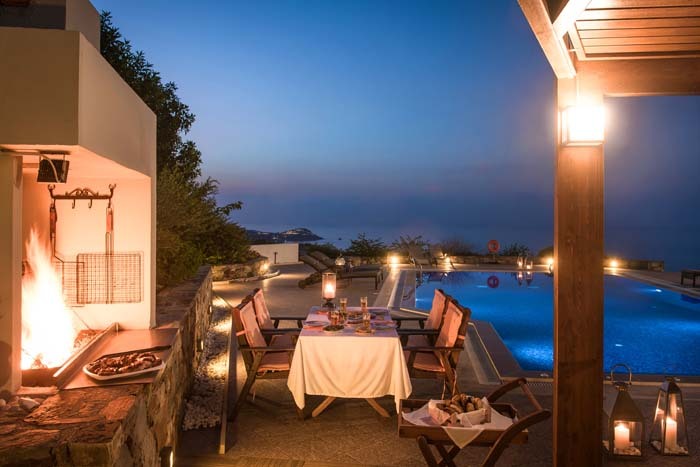 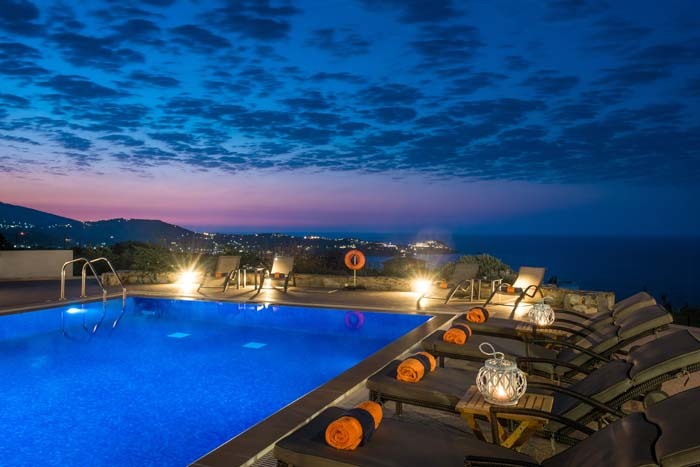 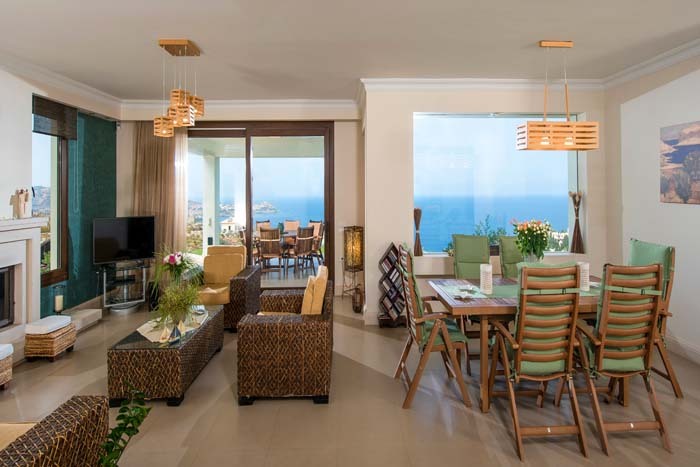 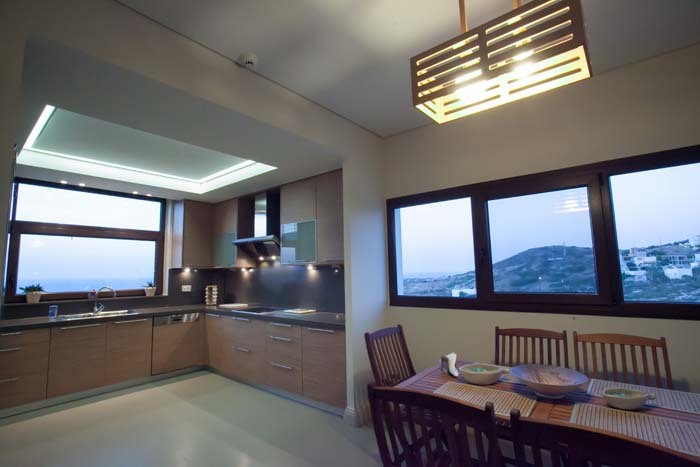 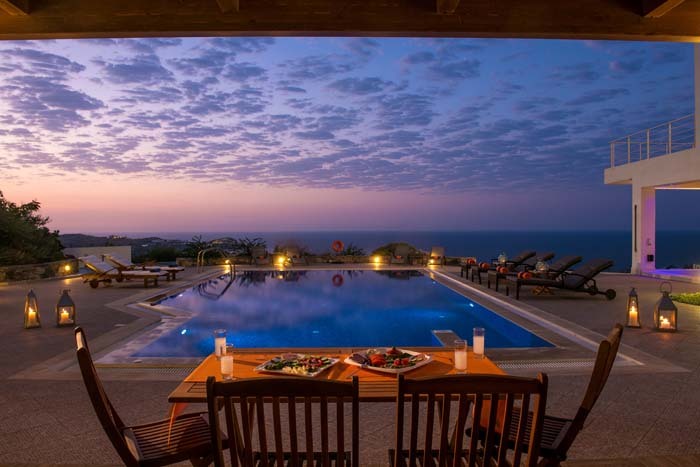 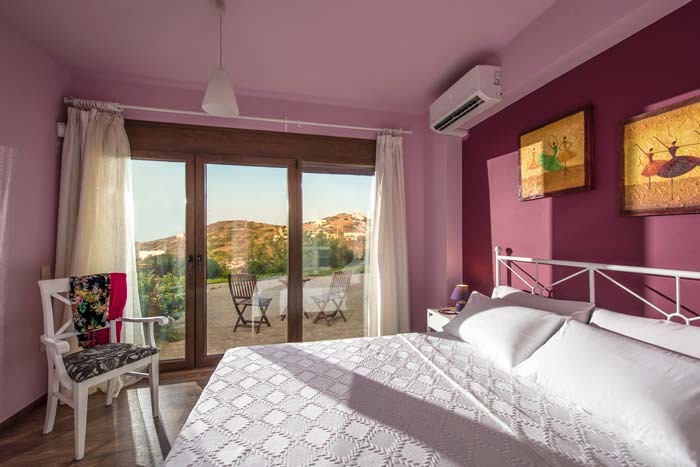 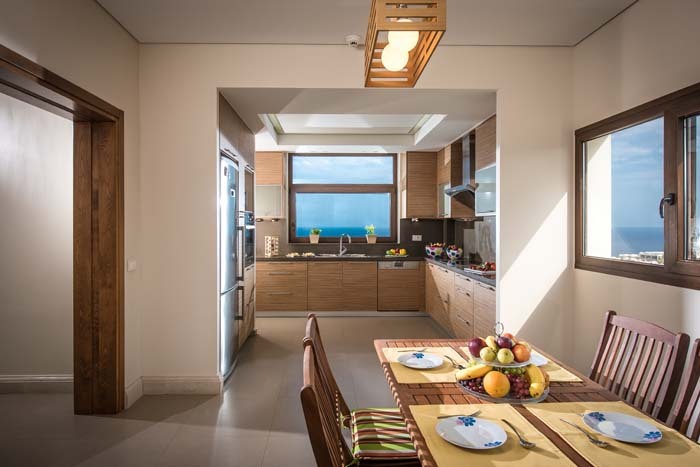 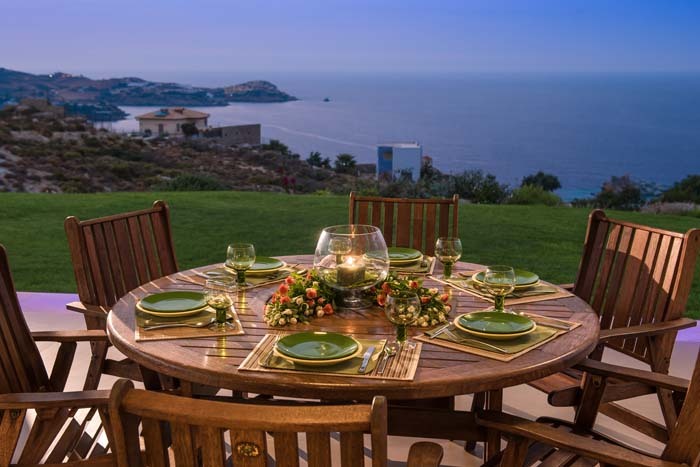 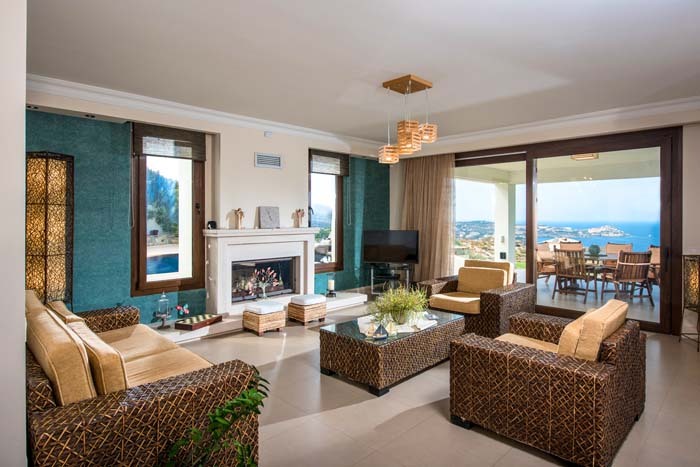 It stands only 500m away from the sea and offers stunning, panoramic views of the Cretan sea. 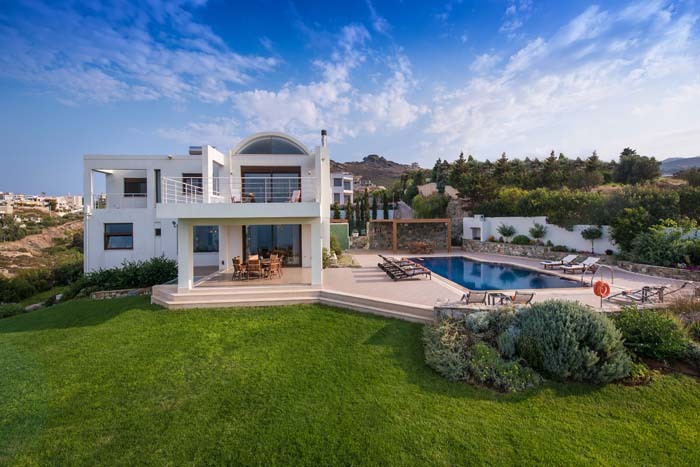 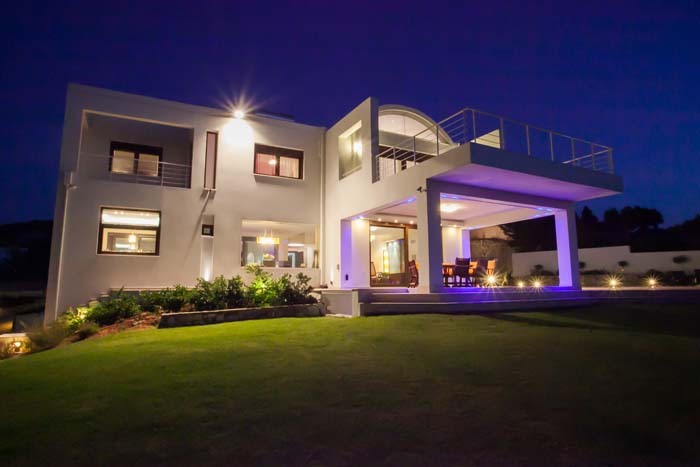 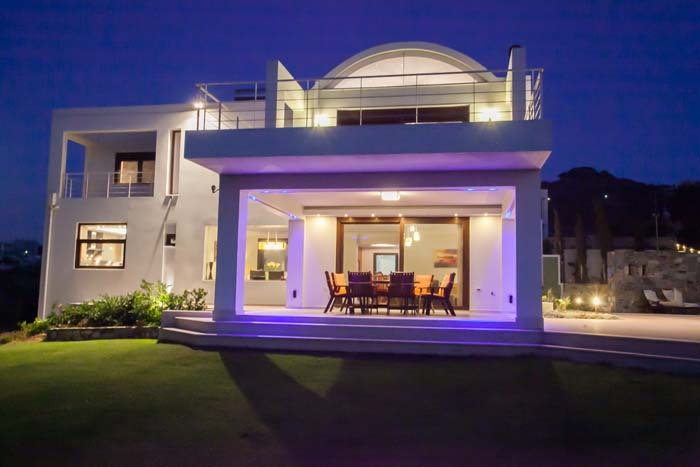 This elegant and stylish villa has spacious and fully equipped interior areas accommodating up to 11 guests in 5 bedrooms, while its huge and well kept outdoor area with the private swimming pool and furnished terraces are ideal for those who are looking for discreet luxury and privacy. 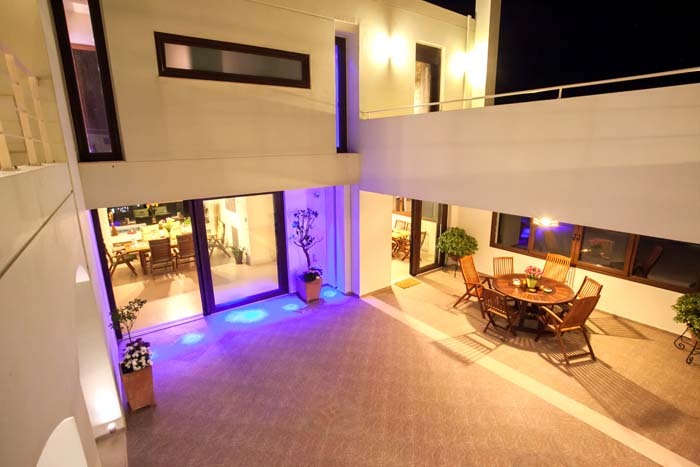 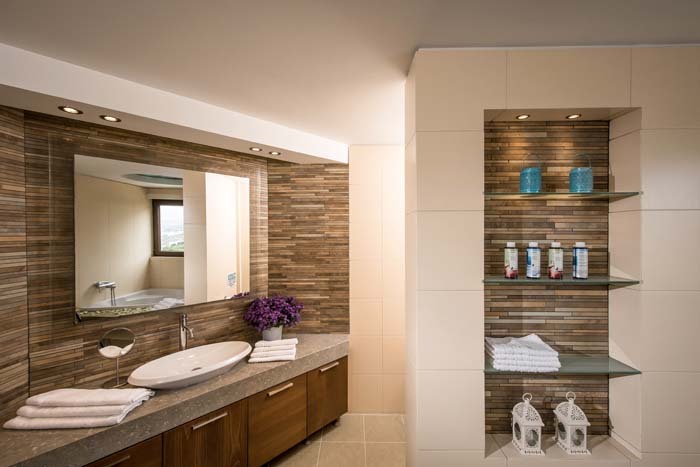 The villa has a 320sqm interior area and is built on three levels. 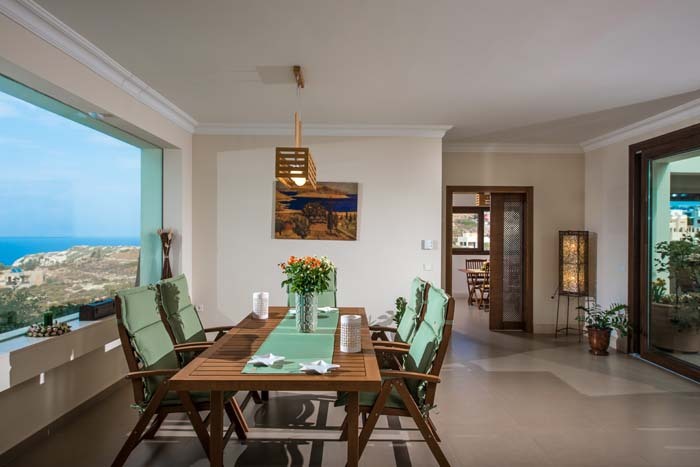 The ground floor has an open plan living room with sofas, Satellite TV, and fireplace, a dining area with seating for 8 people, a WC and a kitchen equipped with all modern appliances. 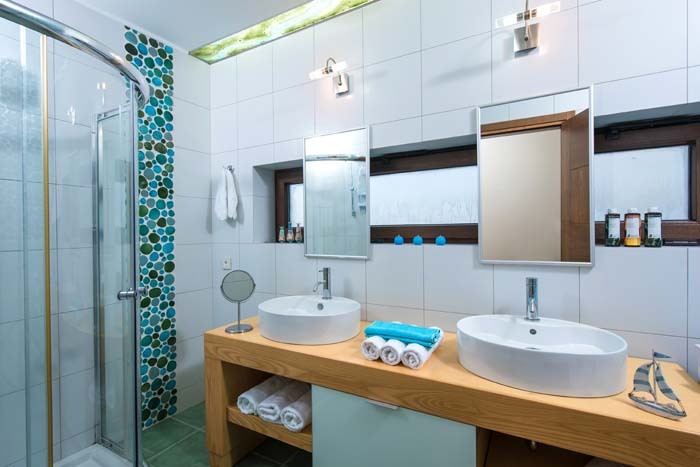 On the east side of the house there is one double bedroom with its own bathroom with a shower cabin. 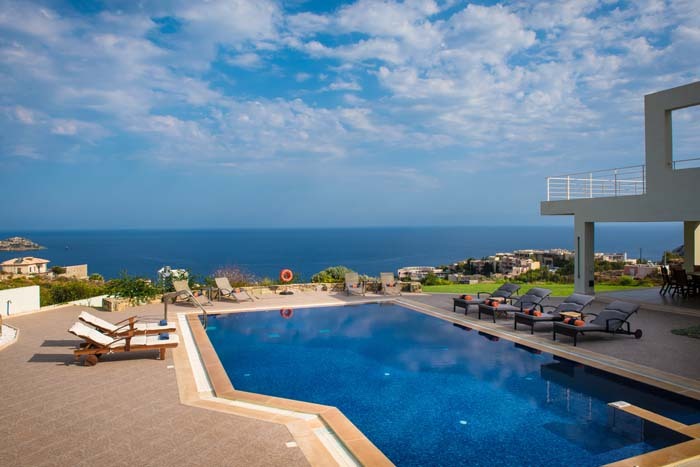 From this level guests can enjoy the amazing views of the pool, garden and endless blue of the sea. 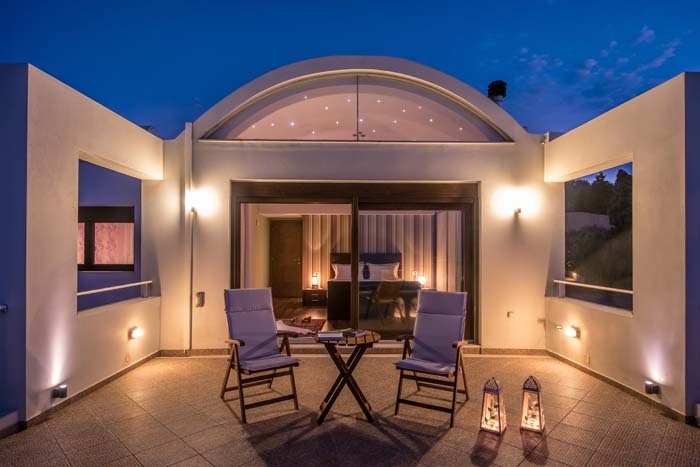 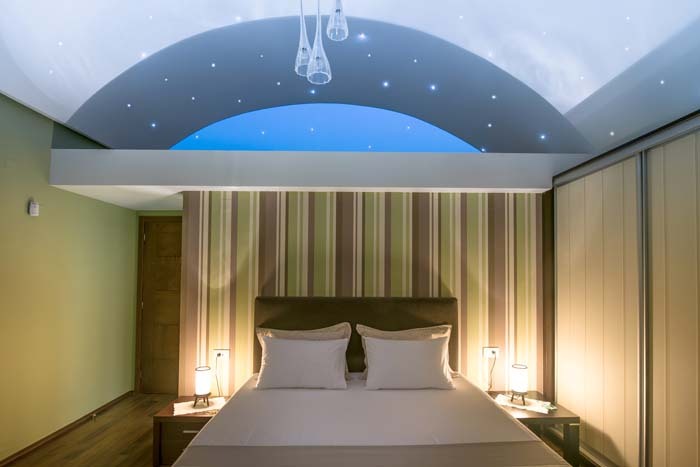 On the first floor there is a master bedroom with dome style roof (called Santorini style), a super king size bed, wardrobes and en suite bathroom with a tub. 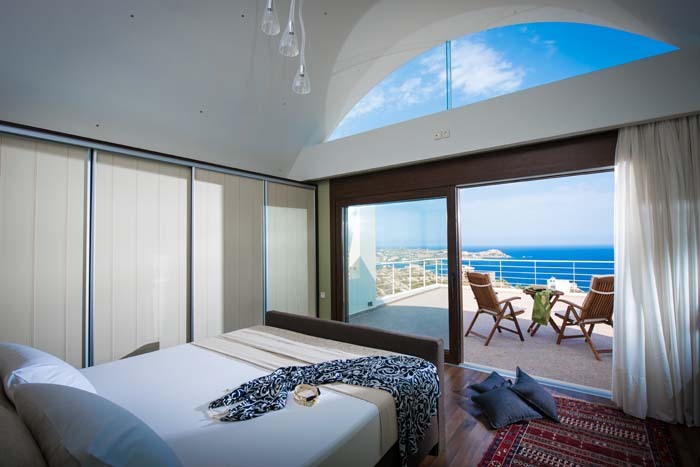 This room has access to a private large terrace with loungers that offers breathtaking panoramic views of the sea and mountains. 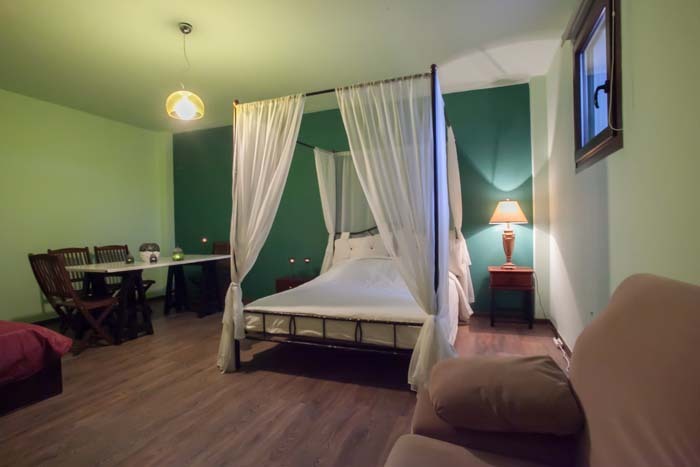 On this floor there are two more bedrooms, one with a king size bed and one with twin beds. 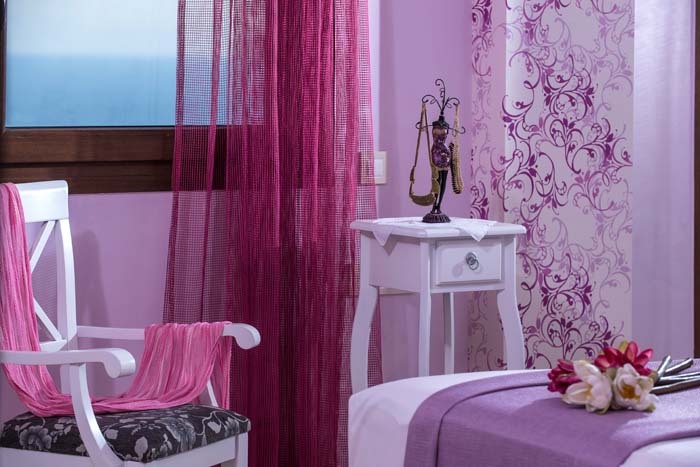 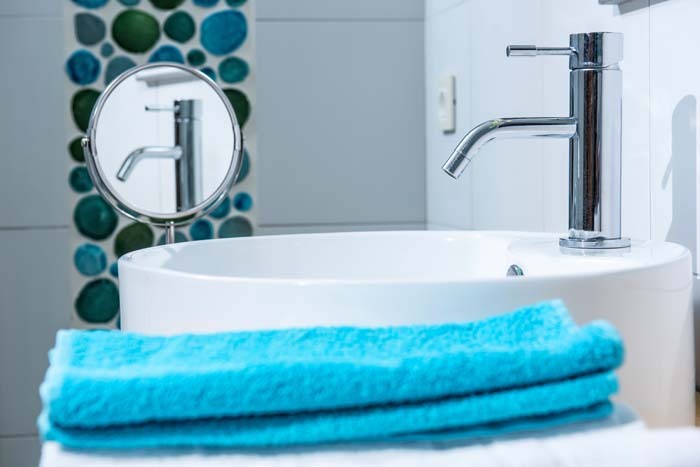 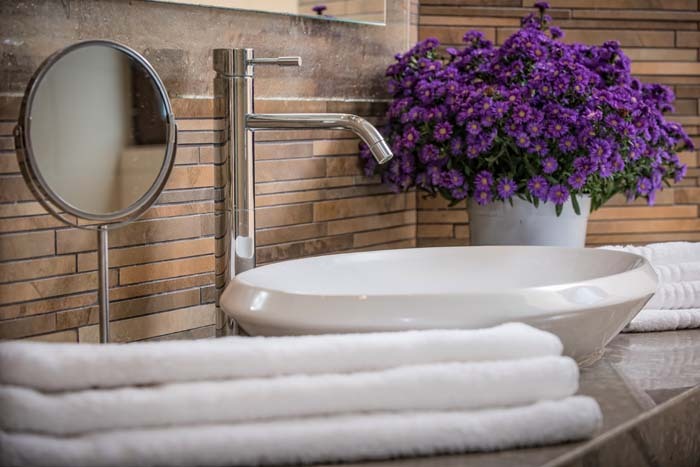 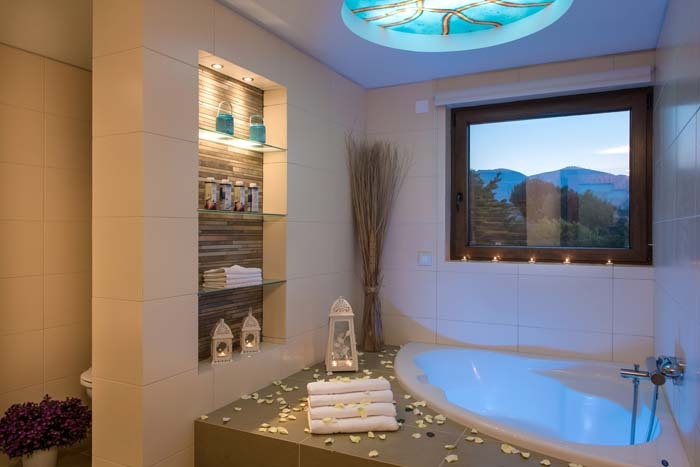 Each rooms has access to a balcony with spectacular views and share a bathroom with a shower cabin. 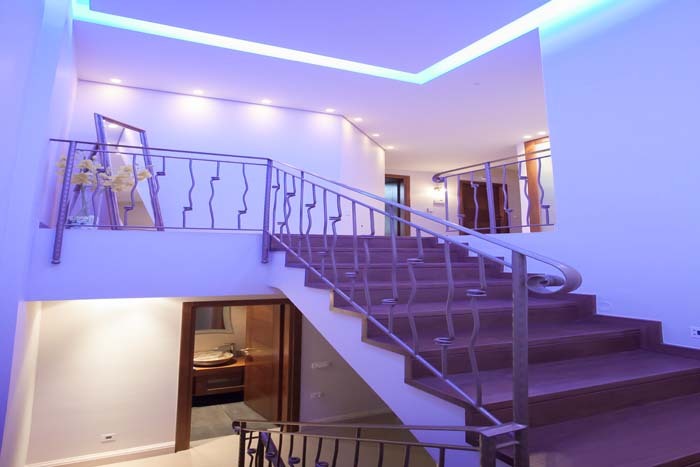 From the living room stairs lead down to the lower ground level, where a guest room is. 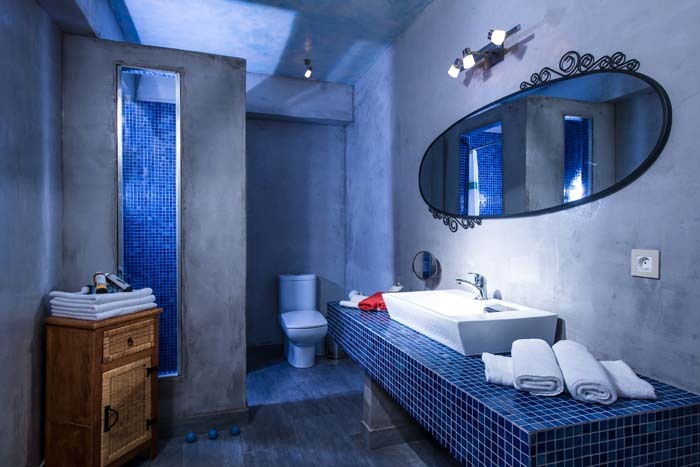 This room has a king size bed and one single bed and its own bathroom with a shower. 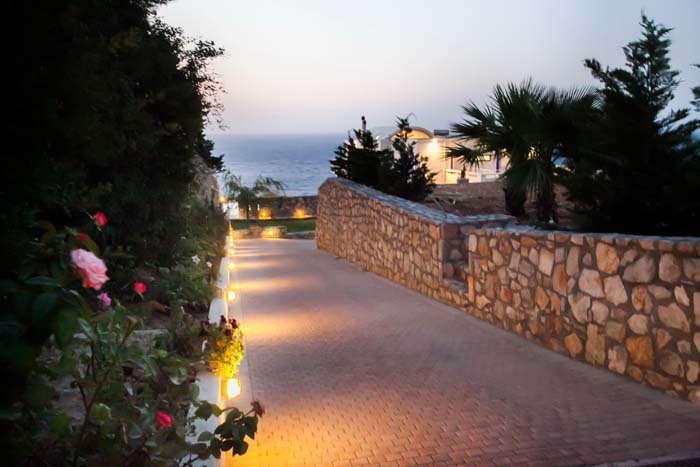 The outdoor area of Villa Aspalathos is amazing. 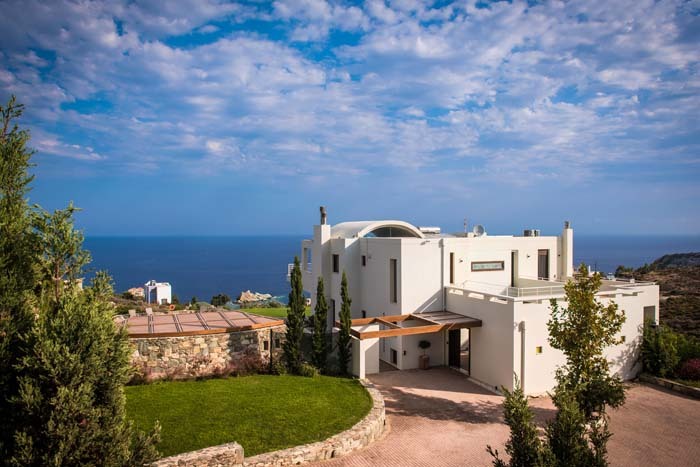 The house is built on a hillside offering amazing panoramic views of the landscape and the blue sea as it is only 500m away from the closest beach. 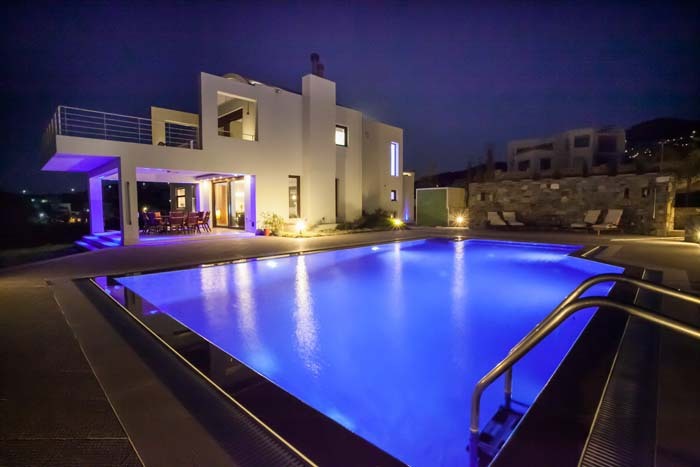 The villa has a private overflow swimming pool (65sqm), comfortable sun beds and an outdoor shower. 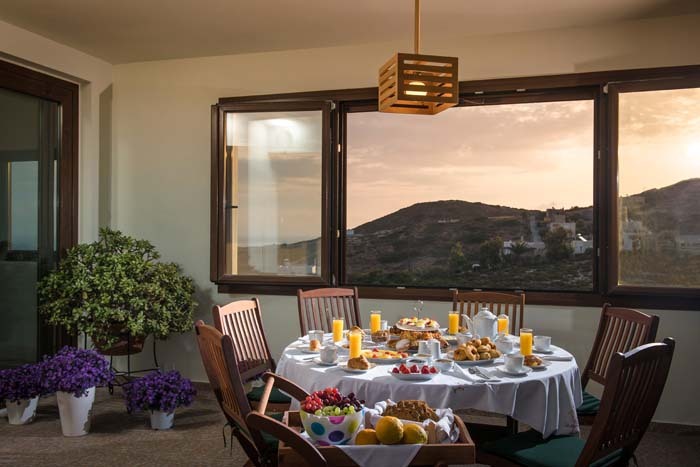 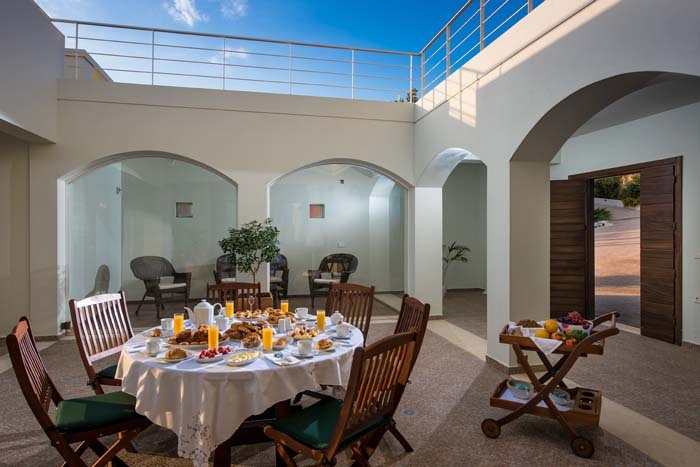 There are furnished terraces and balconies with beautiful views and sofas for relaxing watching the sunset. 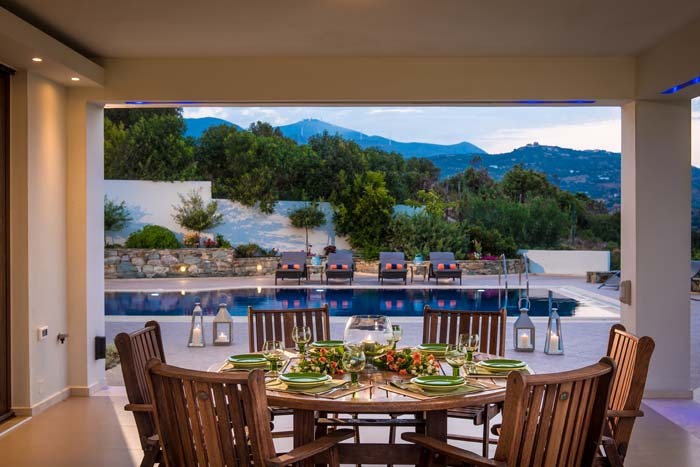 A BBQ is available for its guests to prepare and enjoy a meal with their loved ones relaxing at the outdoor dining area. 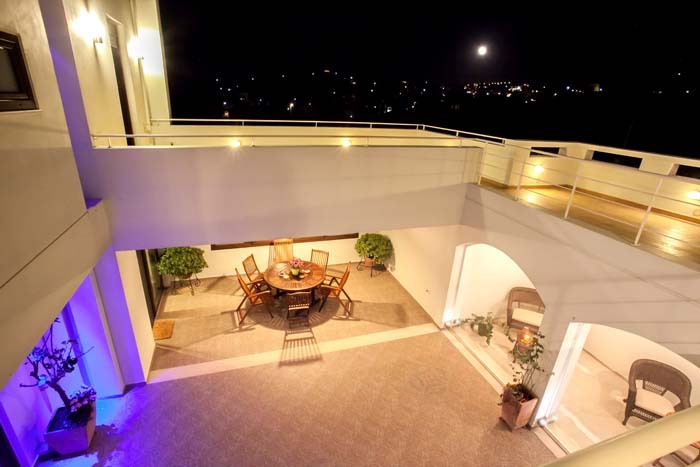 The property has a beautiful lawn garden, parking area and is fenced around.